Why do people always assume that spring is the best time for cleaning? The reason is simple – storage rotation. The seasons are about to change dramatically – and that means pulling stuff out of storage – everything from seasonal wardrobes to seasonal tools such as lawnmowers and gardening tools. At the same time, you may have a lot of things that you’d like to put back into storage: winter wardrobe, snow blowers, sleds, winter sports gear, holiday decorations that never got put away. 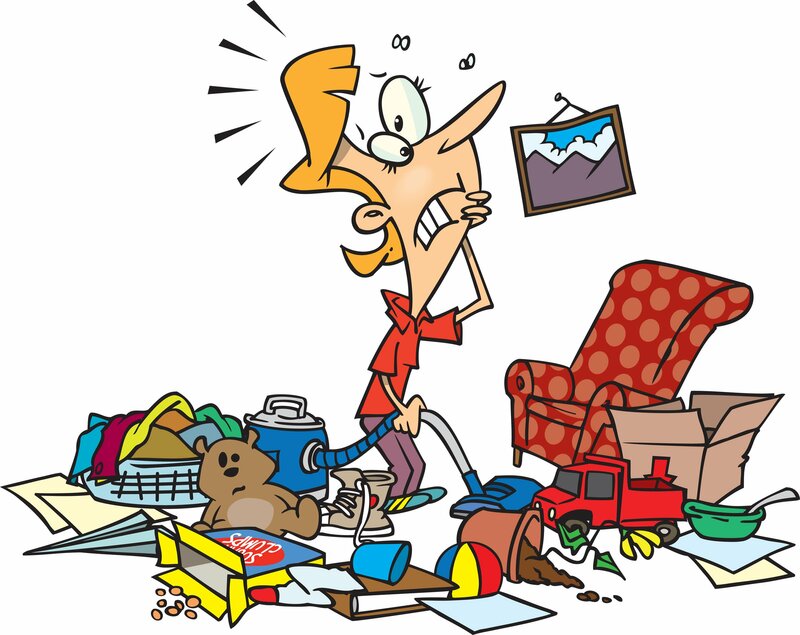 There’s no denying that it’s an ideal time to clean – if you can find the energy. Week 1: Focus first on the stuff that you need to get rid of: the things that you plan to give away, throw out, or recycle. 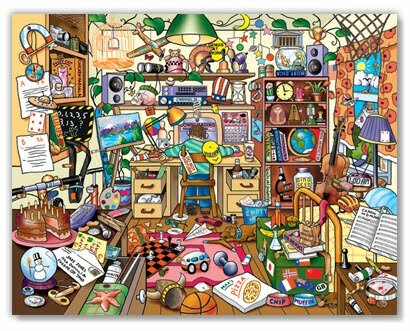 Go through one room at a time, sorting clutter into these three categories. Tackle one room of your home each day this week. Each day, when you are done, end the day by taking trash bags to your dumpster or bins, and packing the trunk of your car with bags and boxes of things to be given away or recycled. At the end of the week, at a time when you are running other errands, stop to unload your already packed trunk of items to donate. Week 2: Next, go back to your closets. Empty and clean each closet. Put back into the closet only what you will need there for this season. Anything else you can pack up and put into the trunk of your car, just as you did with the “to donate” items during week 1. When you have finished going through your closets (and possibly your basement, attic, or garage), drive your by now thoroughly packed car over to your storage unit and do a rotation: putting out-of-season items back into storage, and taking newly in-season items out of storage. Or, if you do not have a storage unit yet, come on by DE Storage and let us help you get the right unit for you. Having the storage place to put everything will be a tremendous help and give you the peace of mind that comes with spring cleaning. Make a special box for home office clutter. At the end of the week, take all the home office clutter that you’ve collected from other places, and go through it. Make sure that you have a designated location to save tax information and receipts, and a place to save reference materials such as account numbers, school directories, and the like (a three-ring binder is a good choice for this). All tax records and receipts that you will not be using on a daily bases can go into the storage unit. Make sure you mark the box with what you are storing so you can easily go back when you need them. Make liberal use of book shelves. Book shelves are an organizer’s best friend. They don’t have to be used to hold books. Shelves can be used to hold files, children’s art supplies, baskets of craft items, etc. The same stuff that looks like clutter when it is sitting on your living room coffee table will look artfully organized if you throw it in a wicker basket and put it on a shelf. Week 4: Finally, you’ve reached cleaning week. Even if you don’t like to clean, this week shouldn’t be that bad. You will have already decluttered, and you’ve already cleaned your closets. This is the week when you can go through the house doing all those once-a-year jobs that tend to get put off: washing the drapes, cleaning the windows, steam-cleaning the carpets, testing smoke detectors, and if you are very thorough, dusting on top of and behind appliances such as your refrigerator and stove. If you again divide the week up, doing one chore per day, you should be rewarded with a sparkling clean house by the end of the week. If you have to, there is an even faster method. It’s not organized, it’s not ideal, but it works in an emergency. Collect boxes, and go through each room in your house, throwing anything that won’t be missed for a while into a box. Empty rooms of clutter as ruthlessly as possible. Take your clutter-filled boxes and put them immediately into your storage unit. Do the same thing for your closets. You’ll find that your rooms and closets look much more organized right away, as soon as they are clutter-free. Then go through and do your personal version of a superfast emergency housecleaning. This method will leave you with a storage space full of clutter-filled boxes that you’ll need to go back to later to sort out. But if you need to have your home lean and organized in a hurry – this is what you’ll want to do . .